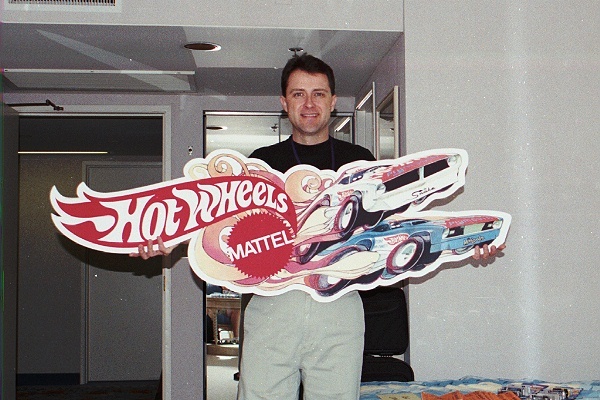 I was lucky to be 10 years old when Mattel Toys introduce their new Hot Wheels toy cars. One of my playmates in the neighborhood had the good fortune to get lots and lots of these great new toys. I remember going to his house to play, he would get out the big race set with Super Chargers and lots of cars and we would race. Before Hot Wheels came out all there was available were Matchbox toys. They were good to but not much fun to play with. I had a 72 car case full of Matchbox cars sitting on my bedroom shelf thanks to my Dad who also like the toys, especially the trucks that looked like the trucks he drove everyday at the Southern Pacific Railroad truck yard where he worked for over 30 years.. Soon after I would make regular trips to the local Western Auto store to see what Hot Wheels I could spend my allowance on. Back then I actually lost interest in toy cars after a year or so since most of my childhood was spent riding bikes, playing baseball, and watching Batman and Gilligan's Island on TV. 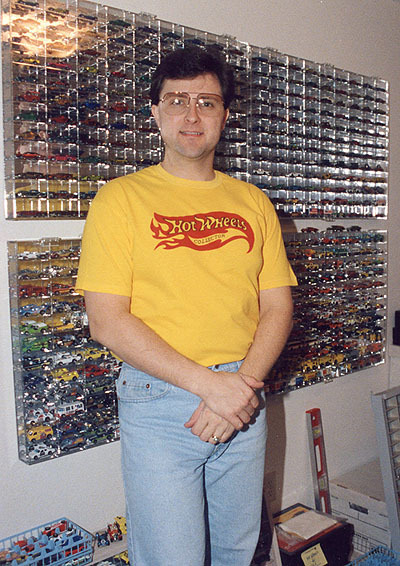 Fast forward to the early 80's when browsing the toy isles at Fred Meyer store in Portland, Oregon and finding that Hot Wheels were still there and perhaps cooler than ever. The new Hot Wheels had Real Rider Tires, Super Hero themes and Scene Machines. I bought at least 50 of those new models and added them to the cases up in the closet. That was short lived and I soon forgot about them again. In 1988 a friend who collected Winchester firearms was a subscriber to Gun Shop magazine and noticed that there was also a magazine called Toy Shop. He gave me a copy of Toy Shop and I loved it. Soon I was collecting Matchbox toys again, getting them by mail from a store in Ilion, New York. One day when reading the Toy Shop I found an ad in the back for a collectible store in Portland, Oregon called "Shelby's World of Wheels". 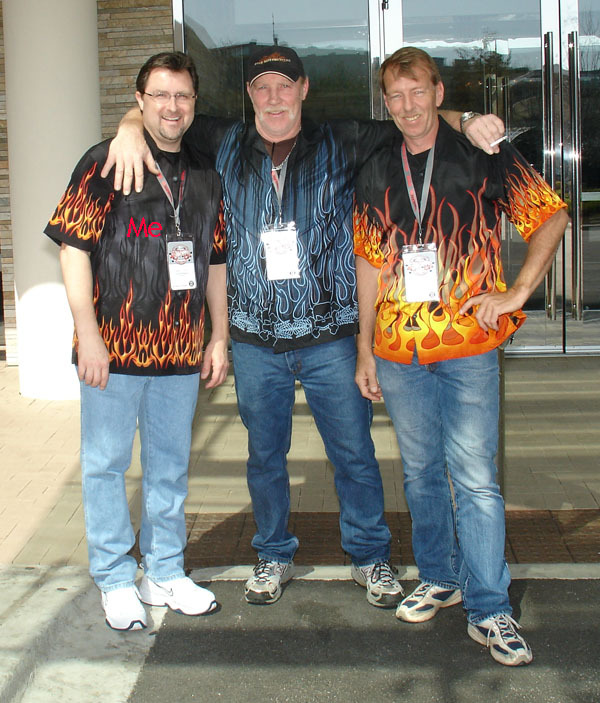 Soon after I stopped by Shelby's World of Wheels and was amazed at their selection of Matchbox and Hot Wheels. I remember the first old Hot Wheels car I bought, it was a 1969 Classic 57 Bird in beautiful red. At the time I was a Real Estate agent with one of those original "big brick" cell phones. Each time the store got in some great cars they would call me and I would rush right over to pick out some great models. 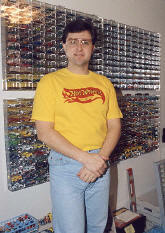 That was the beginning of my new passion for collecting Hot Wheels and Matchbox cars. At that same time I was also writing to other collectors who had cars for sale and would send me a "list" of cars for sale. Many were typed or hand written since we really did not use computers back then. That is except for me as I had grown up with computers starting with the Radio Shack TRS-80. Right from the beginning I kept track of my growing collection using the latest hi-tech computer like the TRS-80 and the Tandy 1000. By 1989 I had so many cars that I started going to the local toy shows to sell of the extras. 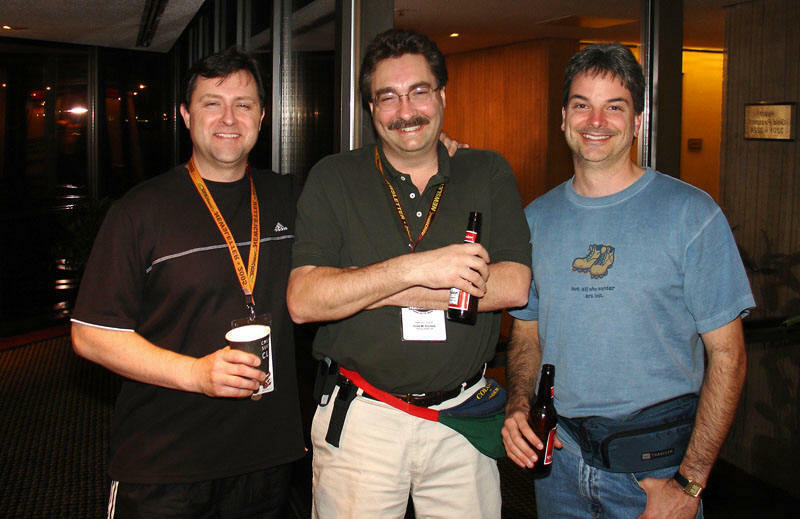 The next great break was connecting with the Hot Wheels Newsletter and their annual conventions. 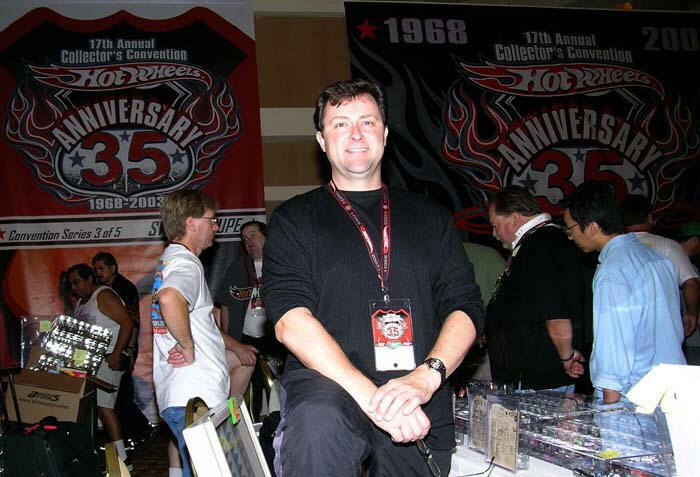 I went to my first collectors convention in 1990 at Toledo, Ohio. In 1991 I decided to reach out to some of the other collectors through my association with the Hot Wheels Newsletter and later the Redline Cub and sent out my first "List" of one page of extra cars for sale. Soon it was 4 pages then 8 then 16. Over the next year using my computer and the office copier my list grew and grew. 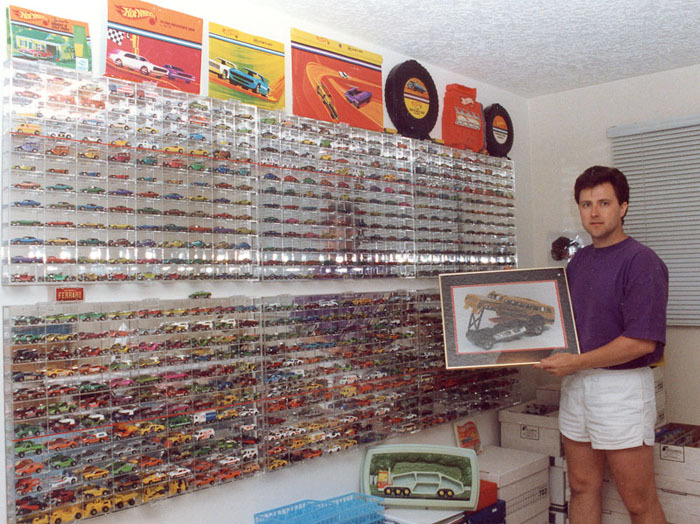 My first really big collection came in 1992 when at a Toy Show in Seattle I mentioned to one of the guys who had been collecting a long time that a friend had recently got several really great 1970 Hot Wheels in the original package. To that he asked "are you interested in a large collection?". Yes of course I said, so how much are we talking? He responded "oh about $30,000". Yeow! I thought this must really be some collection. I really did not give it another thought. The next week I was at the local collectible store and the owner says "Hey I here you are buying so and so's collection". Hum news to me. Well I figured I better call him and see the collection. Later I went to see the collection and it was unbelievable! I quickly got the funds together and brought that collection home. It included nearly everything you could imagine. So nearly over night my collection filled out nicely. And there was so much extra that I added the extra to my list and it became a full fledged catalog. Now I was making a monthly trip to the printers to get this thing made and sent out to over one hundred collectors. 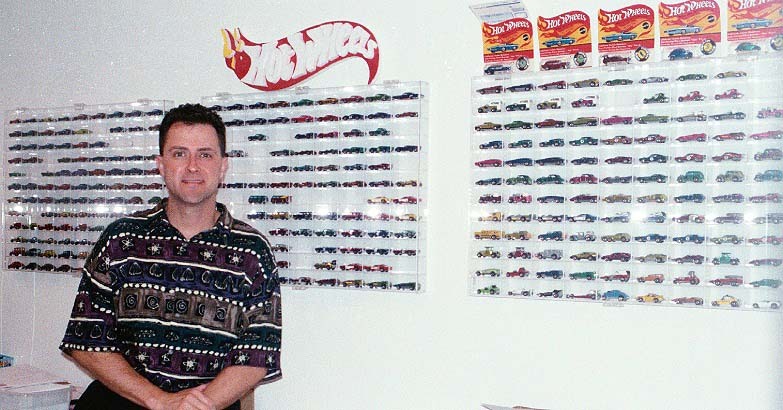 By 1995 I was buying and selling so many toy cars that I hardly had time to do my real job. My catalog was very popular and I spent many hours on the phone with other collectors. Because I was doing very well serving the collecting needs of others I was in a position to produce the catalog and make it a full time gig. This made sense to me because I also wanted to go back to college and earn the degree that I had not done earlier in life. Over the next 4 years I attended Washington State University in Vancouver, Washington part time and was buying and selling collections of toy cars full time. 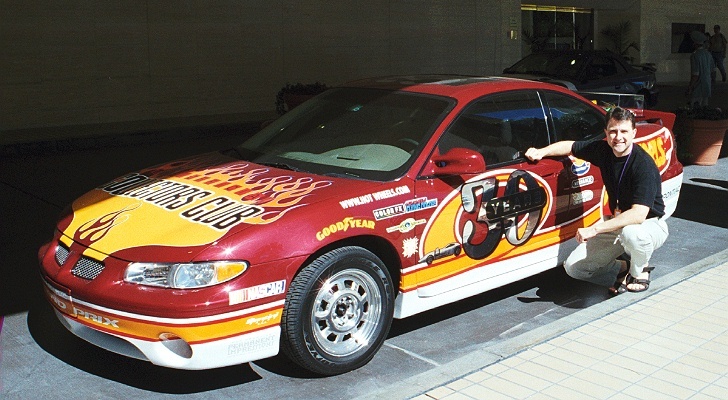 I began featuring my list of cars for sale on the internet back when everyone had a 1200 baud dial up modem and most of us had AOL as the only access. Remember then? You know web sites like mine, "members.aol.com/carcolectr". 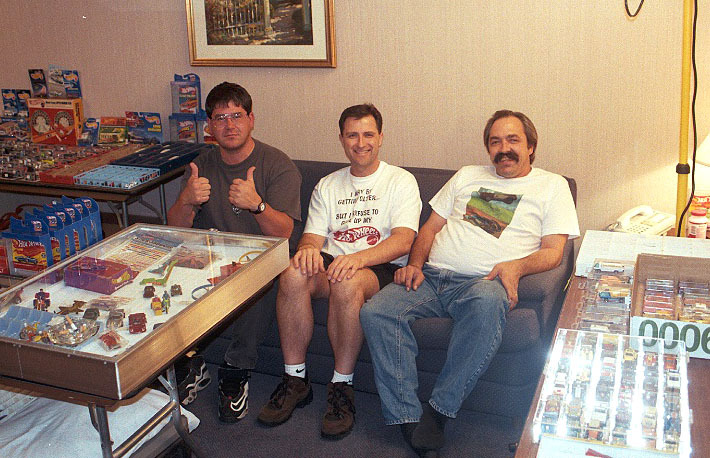 Over the years that became www.ToyCarCollector.com where I've been since 1997. So there it is in a nutshell. A passion for toy cars becoming both a wonderful personal collection, helping other to buy and sell toy cars, and the best thing of all a way to meet many great people who share this passion. I have so many great friends in the hobby locally, nationally and international. Hope to see you all at one of the many collectors conventions.